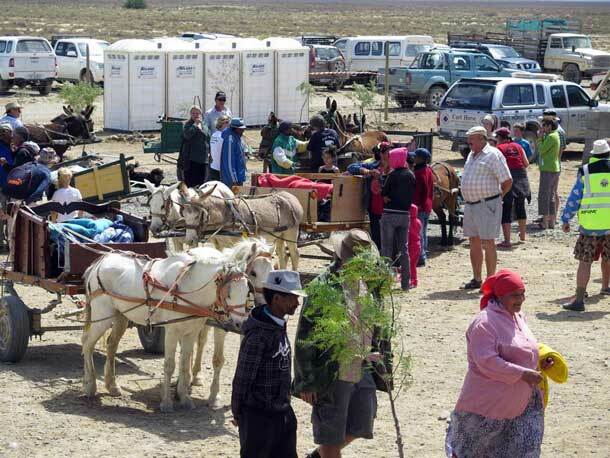 As you may know by now, the Tankwa Padstal – that fabulous halfway stop to AfrikaBurn on the long dusty R355 – was burnt down on September 20th. The case is pending, the lawyers are talking and the Padstal‘s new foundations are still being dug. Not that Hein Lange, owner of the Padstal, wanted to think about ever opening again on that morning as the sun was rising over the ruins of his beloved ‘pink gin’ haven. Or that there’s money in the lawyer talk. But that’s another story. What convinced him was the outcry from his immediate and bigger community. 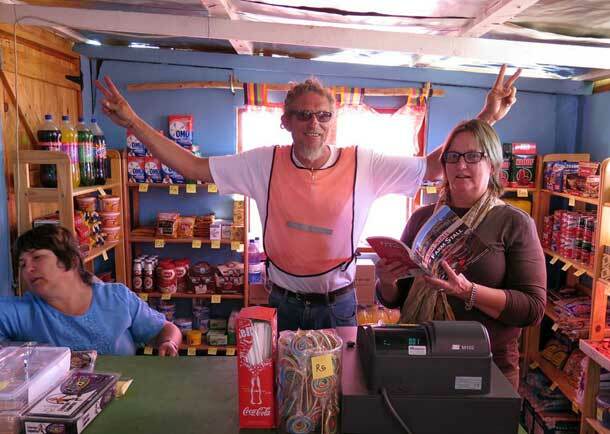 Like when he explains about Ella Kalmeyer, who was there first thing that fateful morning in her donkey cart, speaking through her tears saying: “Julle moet weer oopmaak, want waar gaan ek nou my hekel verkoop?” (“You have to open up again, because where will I sell my crochet now?”). 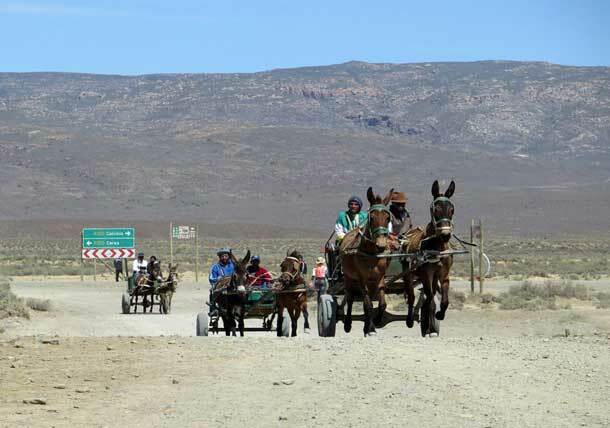 Ella’s an elderly lady native to the Tankwa who counts herself among the karretjiemense a still largely nomadic tribe given freedom by their donkey carts, who referring to themselves as only ‘Karooenaars‘. She lives on the farm Bizansgat with her family down the road from the Padstal, and loves the patterns that people bring her for her crochet. In the few years it’s been running it has become the epicentre of the entire area, so seeing the place burned to the ground was really heart wrenching. Hein also credits his quick mental recovery to Robert Weinek, who arrived on the Tuesday following the fire from Cape Town with a psychologist and healer in tow to help them deal with the trauma and shock. As he says, don’t underestimate that man. To him, seeing his community thrive is what makes him get up and work even harder. He’s rebuilding the Padstal bigger than what is needed at this time, because he’s building for the future. And at the same time, the long-planned new community centre and library is being built next door. As he says: “Ons bou nou klaar.” (“We’re building everything now.”) – with help from the AfrikaBurn community and the Outreach program which focuses “its energies and resources on supporting creative grants and charitable causes in the Western and Northern Cape, and to provide a platform for educating our members on community and artistic causes that fit into the AfrikaBurn model of support and participation”. This weekend was really deeply inspiring on many levels. There was a special moment, when I was standing in the sun listening to the boere (farmers) of the Tankwa play traditional boeremusiek and the volk (literal translation is nation or folk, meaning in this instance, the native Tankwa people) were all dancing. They call it the riel dance, and it’s carried over from ancient times when dancing was used to go into trance, to heal, and to initiate. So aside from all the inoculations, halter repair and replacements and medical attention given to all the donkeys, mules and horses, by the Cart Horse Protection Association, and the Best Donkey Cart competition with its prize – new donkey halters donated by Outreach – there were many other high points on the day. 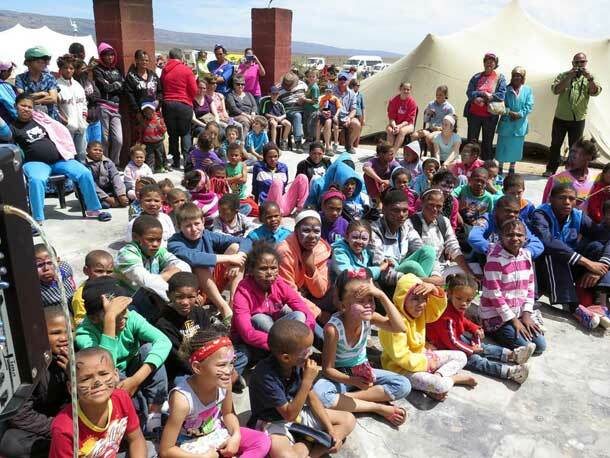 Among those high points were the mobile clinic with a full dentistry bus, medics and an optometrist, provided by the Western Cape Government’s Department of Health (the Padstal is within the border of the Western Cape, and AfrikaBurn’s event location is just over the border in the Northern Cape – but the head of the WC Dept. 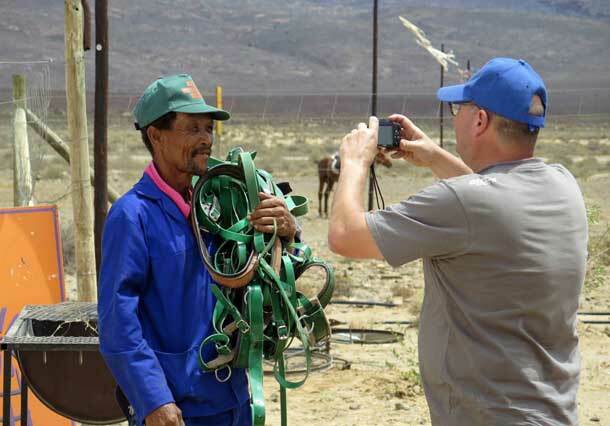 of Health will be speaking to his Northern Cape counterpart about supporting initiatives of this nature in future – another great bridge being built). There was also the Agape poppekas (puppet show), a Father Christmas arriving with presents brought by the Wild Dog bike run, face painting, drawing, hula hooping, balls, bubbles and all the books donated for the new library – all of this for the local kids. Aside from all of this, the success of this weekend can be measured by the impact this day has had on the wider community and the bridges that were built.